Linda Chapman displayed a photo of her daughter Nikki during the Governor’s news conference. Governor Kim Reynolds is calling on legislators to set Iowa on a path to letting voters decide if a victims’ rights amendment should be added to the state constitution. Linda Chapman’s daughter, 25-year-old Nikki of Dubuque, was killed by a drunk driver near Peosta nearly 14 years ago. Chapman told reporters being “thrown into” a court system she and her family didn’t understand made the situation worse. Chapman has since become a victim advocate. Story County Attorney Jessica Reynolds said as a prosecutor, she favors Iowa joining 34 other states which have added a victims’ rights amendment to their state constitution. “There’s a developing consensus around the country that just as we need to protect the rights of criminal defendants in the process, so too should we protect the rights of victims,” the county attorney said during the governor’s news conference. Legislators who back the amendment say they’re working on adjusting the proposed language, to address concerns raised during public hearings last week. 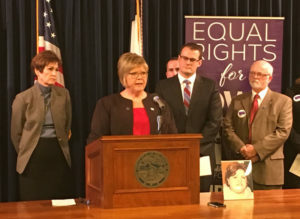 Groups representing Iowa victims opposed the measure, saying it would divert resources to the criminal justice system that could be used to support victims. 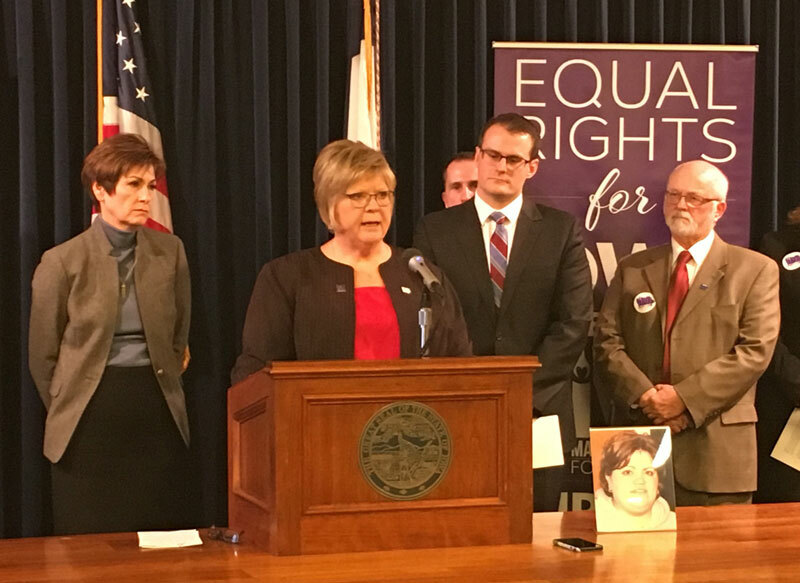 If the proposed victims’ rights amendment is endorsed by the Iowa House and Senate THIS year and then again sometime in the following two years, it could be submitted for voter approval in the 2020 election.